Oblates are lay people or priests who wish to live according to the spirit of the Rule of St. Benedict, which contains a wealth of spiritual teaching which can guide any Christian in the way of the Gospel. 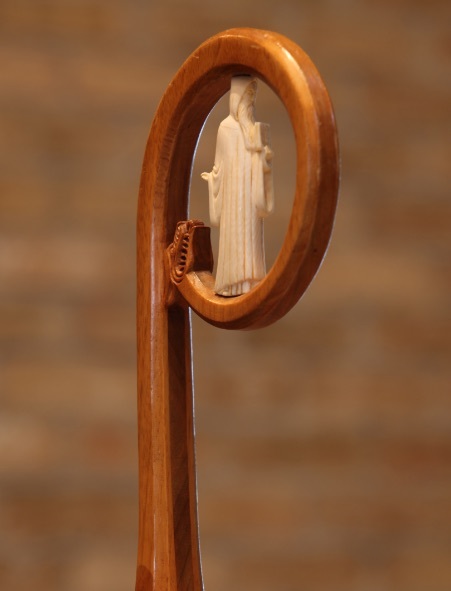 By their oblation, they give themselves to the Lord, by a bond to our monastic family and by committing themselves to follow the spirit of the Rule in their daily life. This non-profit organization, founded in 1952, supports in various ways the work of the monks and helps to make known the life of the Abbey. 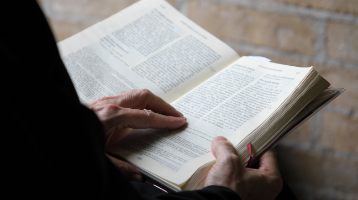 Several different activities allow the members to socialize and to meditate on St. Benedict’s message in order to learn from it and to make it known. Monastic life is a long path, and St. Benedict ensures that our heart expands as we advance along it. We thus strive to follow the counsels he gave to us. 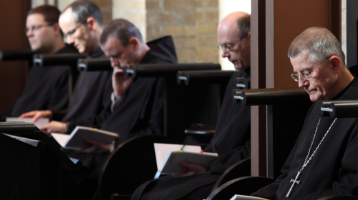 As Benedictine Monks, we find in the Rule of St. Benedict a proven path to follow in Christ’s footsteps. 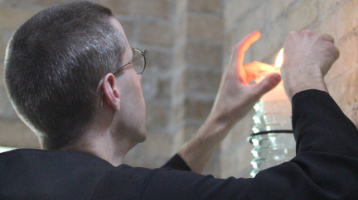 Under the Abbot’s leadership, we seek God through prayer, work and fraternal life.